Today I spent a lovely afternoon in Chalfont St Giles with a good friend of mine– David Willis Bushcraft. we didn’t really have a plan of things to do , it was rather a good catch up , make and bake some bread and then have a play around with some fire lighting techniques. 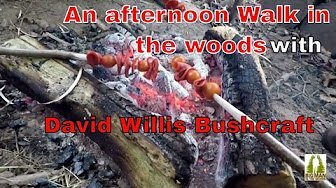 If you would like to do a course with David Willis, check out his Bushcraft website, where just like me , you can learn fire by friction, bread making, simple whittling skills for example.